While Ashoka Mukpo, the NBC cameraman who contracted Ebola in Liberia at the beginning of the month, appears to be on the road to recovery, his good news is being somewhat overshadowed by his own team's concerning health violations. 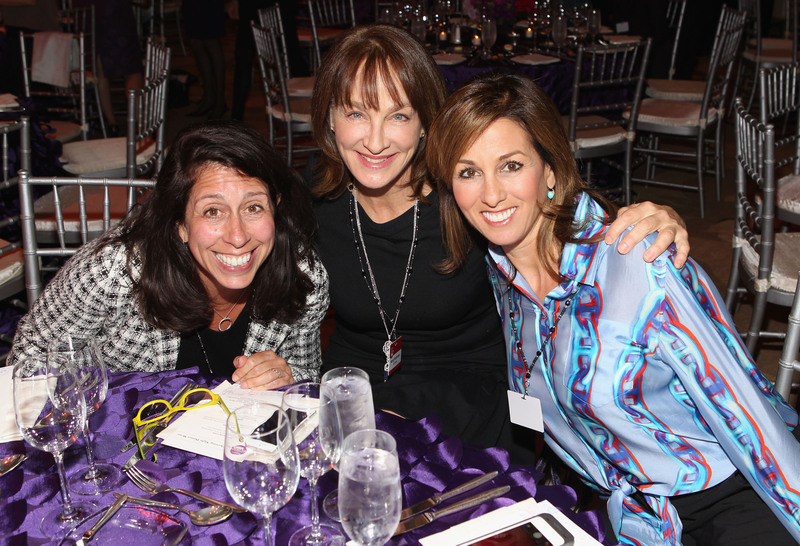 Dr. Nancy Snyderman, NBC's Chief Medical Editor, broke Ebola quarantine last Thursday afternoon when she and two other members of her news crew decided to take a trip to a local Princeton eatery to pick up their takeout food. All three individuals are supposed to avoid any public contact for three weeks, or the incubation period of the Ebola virus. While none of them are symptomatic, and are therefore — ostensibly — not contagious, Snyderman's decision to willingly and knowingly break quarantine has raised quite a few eyebrows, especially considering her position at NBC News. When Mukpo was first diagnosed with Ebola in early October, NBC News President Deborah Turness wrote a letter to her employees, stating that Snyderman and the other three members of the team would be flown back to the United States along with Mukpo as a safety precaution, allowing American doctors to monitor their health statuses closely. Turness noted that Snyderman and her colleagues would "place themselves under quarantine in the United States for 21 days – which is at the most conservative end of the spectrum of medical guidance." But when Snyderman decided to leave her house last Thursday, she had only been in the United States for three days. The team was flown on a private charter flight back to the United States on Monday, and had initially agreed to a voluntary quarantine during which they would take their temperatures twice daily, keep in regular contact with health officials, and avoid any and all possible contact with non-exposed individuals — that is to say, the majority of the rest of the United States. But that all changed when Snyderman and two members of her crew paid a visit to Peasant Grill near Princeton University. While Snyderman herself stayed in the car, along with one other colleague, a third crew member — also under quarantine — went into the restaurant to retrieve their order. For the record, Peasant Grill offers catering services, but there is no word yet as to whether or not the popular restaurant delivers. As a result of Snyderman's joy ride, the previously "voluntary" quarantine has now been upgraded to a mandatory quarantine, enforceable and punishable by law if broken. Late last week, the spokeswoman for the New Jersey Health Department told the Associated Press, "Unfortunately, the NBC crew violated this agreement and so the Department of Health today issued a mandatory quarantine order to ensure that the crew will remain confined until Oct. 22." The Princeton Police Department is cooperating with the Health Department to ensure that episodes like last week's restaurant run do not happen again. We are acting in conjunction with the health department to insure the quarantine stays in effect and is secure. We have increased patrols in the area given the attention the area is getting. Basically, if the health department needed any assistance with security issues, we would be responsible for that. Although the Health Department has noted on a number of different occasions that there is no reason for concern, even with the quarantine violation, these statements have done little to assuage public concerns or outrage about the incident. On Monday's episode of The View, co-hosts Whoopi Goldberg and Rosie Perez expressed their frustrations with Snyderman's choices. "It's pretty dumb. I'm sorry, it's pretty dumb," Goldberg insisted, while Perez noted, "I just thought that that was so irresponsible. Whether she knows if she's infected or not, you just don't do that. You don't put fear into the public when you're a public figure." NBC News has remained quiet about the whole issue, and seemed to believe that the incident would be nothing more than a little blip on the public radar. But with concerns growing day after day about the prevalence of the virus in the United States, it seems that this quarantine violation is making news in all the wrong ways for NBC. While under voluntary quarantine guidelines, which called for our team to avoid public contact for 21 days, members of our group violated those guidelines and understand that our quarantine is now mandatory until 21 days have passed. We remain healthy and our temperatures are normal. As a health professional I know that we have no symptoms and pose no risk to the public, but I am deeply sorry for the concerns this episode caused. We are thrilled Ashoka is getting better and our thoughts continue to be with the thousands affected by Ebola whose stories we all went to cover.